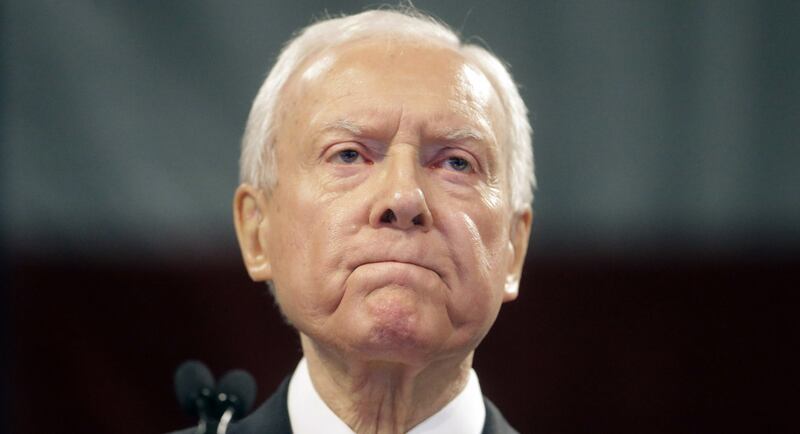 A draft of Senator Orin Hatch’s (R-Utah) threatened federal sports betting bill appeared on Capitol Hill Tuesday. The bill seeks to provide a uniform federal framework of sports betting regulation and would require states seeking to legalize sports gambling operations to have their rules signed off by the US Attorney General’ office. The AG would have 180 days to either approve or veto applications. The bill asserts that Congress must play an important role in “setting minimum standards” for sports wagering — standards that include mandating the use of paid-for official league data by operators, which is likely to be music to the ears of league commissioners Goodell, Silver, Manfred, et al. No states that have thus far regulated sports betting have made official league data compulsory, which is largely why the leagues have been arguing — and lobbying — for a federal framework. The bill also calls for the establishment of the National Sports Wagering Clearinghouse, which would monitor the markets for suspicious betting patterns by collecting anonymized data in real-time. As well as addressing advertising and problem gambling, the bill would amend the Wire Act of 1961 to allow sportsbook operators to lay off bets to other states. This is a good thing for operators as it will reduce their exposure to local bias — where bettors within one state are more likely to bet on the local team, which poses a problem for operators if the local teams keep winning. The Wire Act specifically forbids intrastate wagering, but the proposed amendment would allow bookmakers to hedge bets with other states and keep odds on local teams competitive. Hatch was one of the authors of PASPA, the 1992 federal bill that prohibited state-sanctioned sports betting which was overturned by the US Supreme Court last May, paving the way for state-by-state regulation. The bill also fails to address whether the eight states that have already regulated sports betting would be forced to subject to Hatch’s rules. The post Federal Sports Betting Bill Surfaces in Congress, Proposes Official League Data Mandate appeared first on Casino.org.